It’s taken twenty-one mostly miserable hours to get to Quito. A flight delay in Baltimore, a subsequent missed connection in Miami, an hour drive from Marical Sucre Airport and here it is, edging up to 3 a.m., and I’m only now tumbling into bed. I’m exhausted, but there will be little sleep for me this evening. I’ve rented a lovely apartment, which, like the city it sits in, is 9,350 feet above sea level, about 9,300 feet higher than I’m used to. Insomnia can be one of the effects of altitude, but my lack of sleep has little to do with that. Instead, it’s the noise. Pounding, unrelenting, merciless, inexorable noise. This night, it’s the dogs. Packs of them. Barking and howling as if competing bands are fighting for urban supremacy. I give it all up around 6 a.m., as the fruit sellers patrol the streets advertising their wares through bullhorns. Later that day, while wandering around the city, it’s assault by storefront speakers. Apparently, the best way to lure customers into your bodega is to blare a speaker set to eleven and point it to the street; in certain places, this means you get blasted every ten to twenty yards. And it’s not just that it’s relentless music. It’s relentless meringue, often set to a techno backbeat. Surely this must be one of Dante’s circles of hell. The next evening, it’s the same meringue techno but this time with an amplified male voice endlessly exhorting and piercing the Quito night. It pounds across the hills, slips my windows, and courses through my exhausted half-sleep dreams. 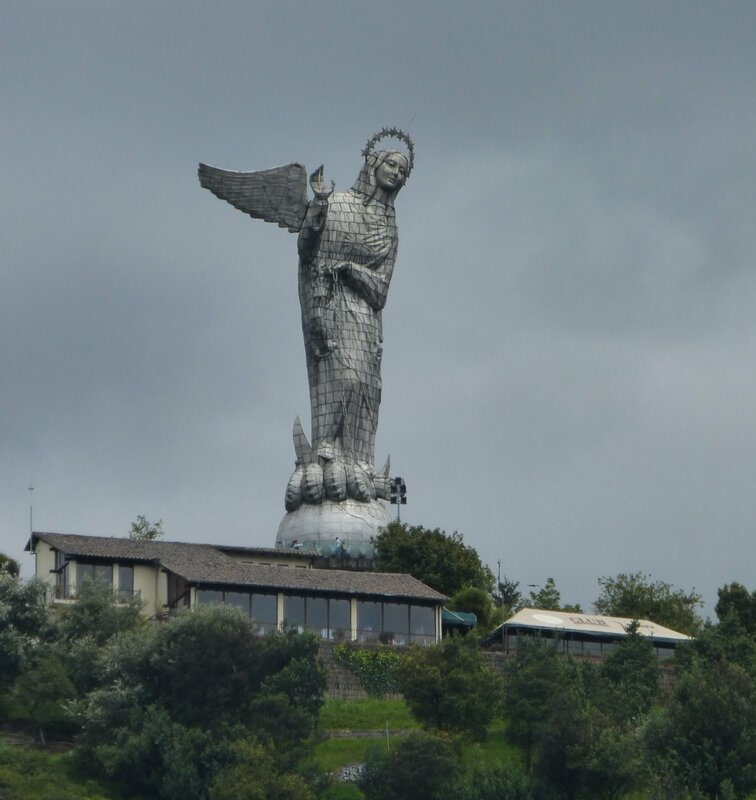 It’s obviously coming from a nightclub, but fevered scanning from my windows reveals little apart from the familiar 130-foot aluminum winged Madonna statue, the Virgin of Quito, illuminated atop El Panecillo hill. The Virgin is a city beacon and treasured piece of civic pride and, I’ll confess, the sight of her does serve to calm me a little. Her beatific visage does work a certain kind of magic. But the pounding music and the droning go on. The cessation of it is, apparently, not a miracle the Virgin is willing or able to perform. I wrap my pajama bottoms around my ears and put a pillow over my head. But that’s only reduced the noise to a muffled thrum, like listening to my own heart pumping manic screams before it explodes. Now the emcee has devolved into a Woody Woodpecker imitation—and it isn’t half bad, unfortunately. I’m hopeful there might be some municipal noise ordinance in play, that maybe the music will be cut off abruptly at midnight. But of course not. I’m not in Boise. So it’s another sleepless night, and the following ungodly morning, when I drag myself from bed and tear open the shades, I half expect the winged Virgin will have been replaced with an enormous version of one of those toy chimpanzees that spastically crashes cymbals over and over. I rub my eyes, shower, down a pot of coffee, and head out. I’m immediately blasted by a plume of bus exhaust and this, combined with the altitude, makes the simple drawing of breath a serious chore. 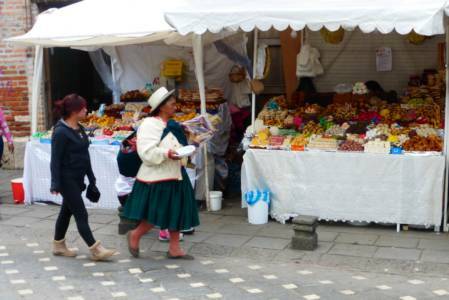 Still, even sleep-deprived and choking, I’m not immune to Quito’s many charms. The Centro Historico, where I’m headed, is an absolute delight—for its size, its preserved nature, its confectionary character of color and architecture. No wonder it was awarded UNESCO’s first urban World Heritage Site, with the organization declaring that “the city has the best-preserved, least altered historic center in Latin America.” Along the way, I pass through a park and a few plazas where the aroma of pine and eucalyptus does its wonderful work and I’m momentarily restored. Later, I’ll visit the stunning neo-gothic Basilica del Voto Nacional, which is something like a Notre-Dame cousin but instead of being adorned with gargoyles, wild animals native to Ecuador jut from its innumerable angles. 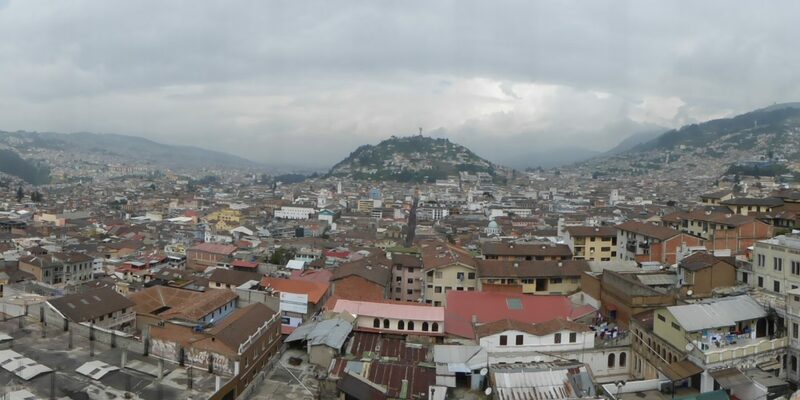 The top of the bell tower, accessible to those who don’t suffer from vertigo, provides views that take in huge chunks of the city, nestled in between volcanic peaks of more than 15,000 feet. Passing a market on the way is a delight, too: the sheer diversity of what’s on offer reminds you that while you’re in the mountains, you are also still at the equator, with its attendant agriculture bounty. The peppers alone: red, green, orange, purple, yellow, some that encompass every color of the rainbow in long streaks and sunbursts. Seviches and fried pork, coffee laced with canela. Nuts and corn kernels simmered in molasses or caramel. I almost squeal with delight the first time I try a quimbolito, a sweet corn cake served inside a wrapped banana leaf. Peel away the husks, let the steam dissipate, and inside is fluffed corn the texture of a cloud. They’re like individual dreams wrapped in single servings, sold for around sixty cents, which I pay for by handing over a dollar coin (Ecuador uses as its currency the American dollar; you ever wonder what happened to all those Sacajawea golden dollars? Find them in Ecuador). 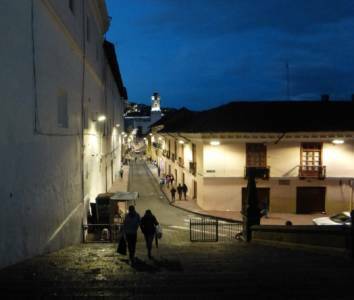 I like Quito. I don’t lose sight of this. 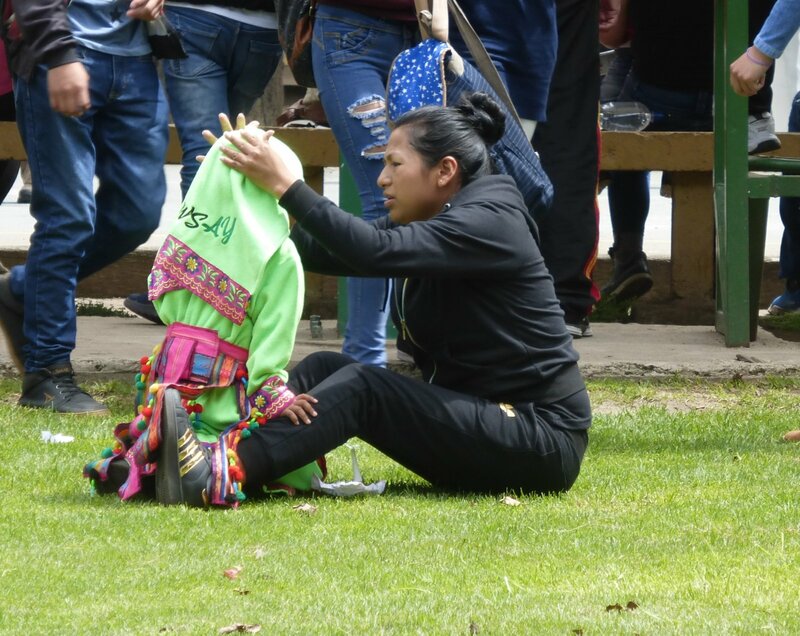 I enjoy its energy and color: its sprawling mercados, its stunning natural surroundings of volcano and mountain, its unembarrassed female denizens in traditional dress—bowler hats, long skirts, jet black hair in braids. I enjoy being crammed in with the locals on buses who give me second looks but who also, invariably, give me smiles. I understand the double takes; I’m a stranger here: tall, white, the only one wearing sunglasses (which is a thing I simply can’t understand; the sun is bright here and a good deal closer than in most other cities on earth). I can’t stand out more if I had a third eye or a second nose. Still, what I’m embarrassed to admit is that an enormous part of what thrills me about being here is simply this: Quito begins with a “Q.” To explain: several years ago, while killing time waiting for the train to Machu Picchu, my brother and I devised a game in which we ran through the alphabet and tried to name a country, a U.S. state, and a capital city each of us had been to. For example: “A” = Austria, Arizona, Amsterdam; “L” = Luxembourg, Louisiana, Lima, and so on. Some letters are pretty easy. Thirty-three countries begin with “S” (as do twenty-seven world and six state capitals). “Q” is a tough one, though, and neither one of us had it. But to my delight, and my brother’s competitive chagrin, I now had my Q. Thrilling. Beyond the comparative rarity, it even looks cool, that common old circle made unique with its slithering, inquisitive appendage. So, as I struggle for sleep every evening, as I hack my way through clouds of bus exhaust in the already oxygen-depleted air, as I cower from the blast of a store speaker, I repeat like a mantra: I have my Q, I have my Q. 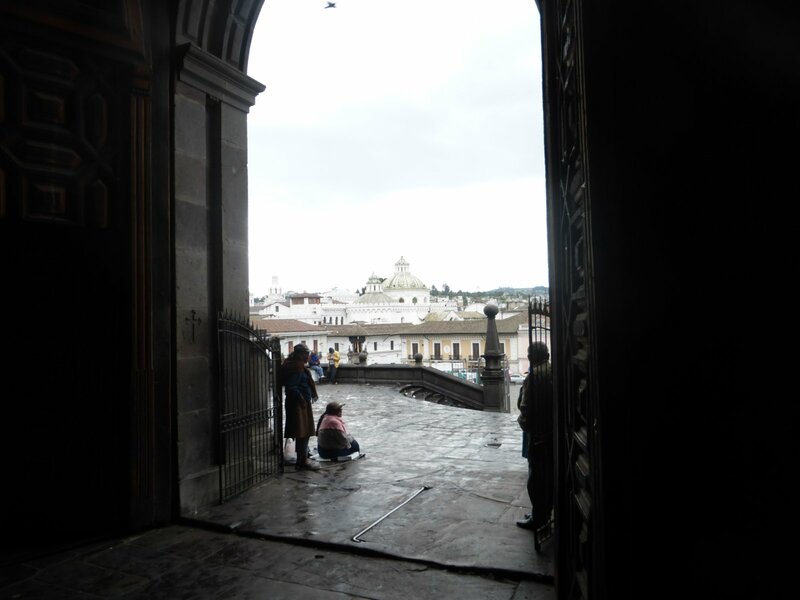 Of course, my time in Quito is less about letters and lists and bragging rights, but rather the understood privilege of getting to see so many different corners of this wonderful, beautiful world. But my fear is that, years hence, when I recall this place, it will be the noise that jumps to the front of my brain. It’s my habit to jot down notes when I’m traveling, and reviewing those notes the night before I leave I see that even my metaphors have been affected: “Sundown in the upper and lower latitudes goes on forever. But evenings at the equator descend with all the subtlety of a jackhammer.” It’s clear where my head is. My obsession with this surprises me. It’s not like I haven’t been in noisy cities; heck, my entire family is from New York City. And as far as the late night music and lack of sleep, I once had virtually the same experience in a hotel in Denver. It just seems inescapable here in a way that I haven’t experienced elsewhere. 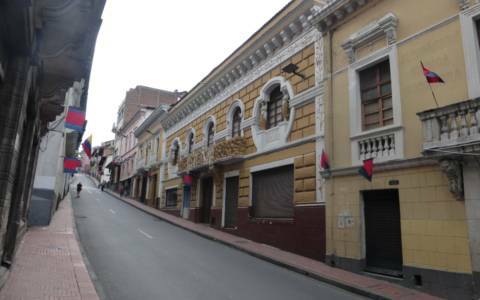 So what a blessed relief then when I emerge onto the Plaza de San Francisco, anchored by lovely colonial-era buildings fronting narrow streets lining the plaza on three sides. Looming over it all is the Iglesia y Monasterio de San Francisco, a gray and white beauty dating to the city’s beginnings in the 1530s. It’s a gorgeous place and uncrowded and so I feel an immediate sense of calm, even before I step inside. But once I do—there’s no other way to say it apart from cliché: it takes my breath away. The altar is accessed by stone slabs bowed and worn across the middle, half a millennia’s worth of penitent feet carving smooth dips. 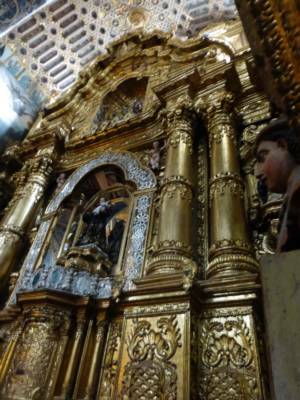 Gold pillars rise to the ceiling, each wound with jewels and bright paint and wooden carvings of saints and cherubs moving endlessly heavenward to the bright blue dome decked with yellow stars tapering to a window of natural light. Every inch is adorned, each pocket of space a piece of art. Everything is carved, upturned, swooping, with figures emerging from the wood in radiant poses and expressive eyes and centuries-old colors still retaining freshness and light. And this is just the altar area. A series of wooden carved domes lines the pathway flanking the pews. 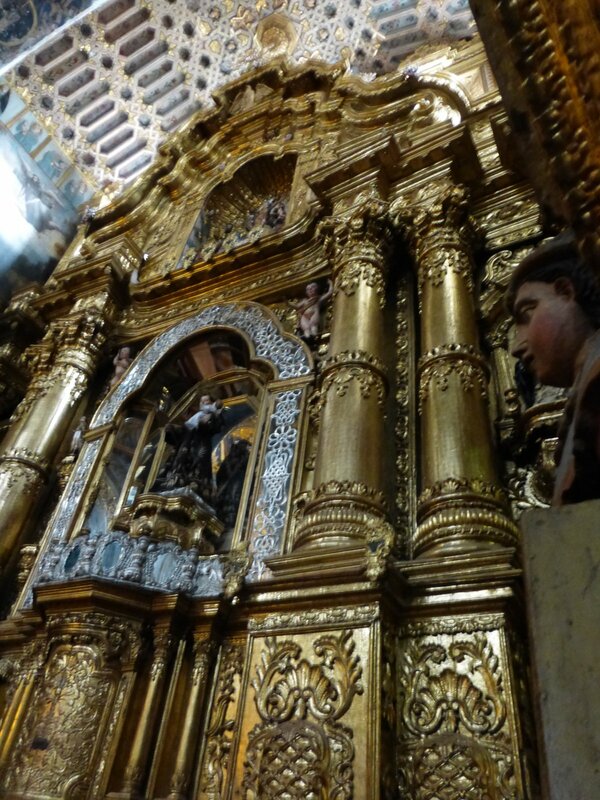 Here, more intricate latticework, more carved figures, more massive pillars, every element in symbiotic work. Take just one small area—three feet by three feet, say—anywhere in the church and one could spend an entire afternoon on it alone: the sweep of a saintly eyebrow, each hair carved with exquisite precision, a bead of paint giving an eye an aura of sympathy and understanding. These carvings bore themselves right through you. Just one would be extraordinary enough. But there are hundreds of them, big and small, and each finds its place among designs of leaf and vine and sun and moon and saint and human, all of it shimmering with gold. There is no stained glass here and so the church can’t rely on the sun to execute any artistry. Instead, it needs every etch, every turn of the carver’s hand, every dab of the painter’s brush, to shine as if the church is lit from the inside out. It’s enough to not only make a jaw drop, but to keep it hung, suspended, for hours. Human-made, human-conceived, and human-built, but surpassing mere humanity to be a work of something much larger, much grander. It’s a place to feel very, very small and yet so much bigger than you are because you’re part of the species that created this place, and here you sit amidst its splendor. It’s yours to soak up, to allow to wash over you, to let its gravid silence fill you. And there is, amidst all this splendor, a dignified, reverent silence. Blissfully, sacramentally, sacredly silent. I find a spot under a carved pious friar decked in green robes. With his shrugged shoulders, his body language seems to say, I have little to give, but what I have is yours. I settle in at the end of the pew just beneath him, craning my neck to take him in, and I feel a certain cloak of protection under his billowing robe. I feel his humanity in the three toes that poke from beneath his garment and spill out over his sandals. I’m not certain I can feel more at peace than I do at this moment. Of course, Quito need not redeem itself to me. After all, it’s been around for almost six hundred years and will still be there long after I’m gone. But after a couple more days in the city and as I head out on my final evening before I fly south for some hiking in the Andes, I worry that my recollections will edge primarily toward the noise. So I go back to San Francisco one last time. Now, there’s a gaggle of beggars out front. 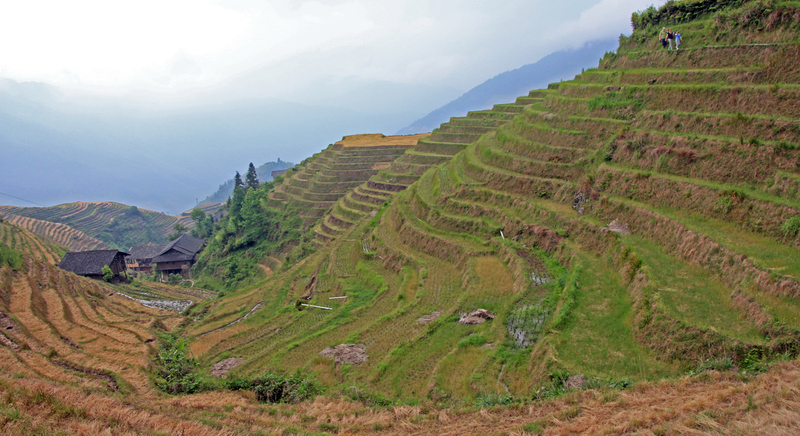 Each is ancient, female, and dressed in the traditional way. Each holds out an upturned palm and mutters something through a smattering of teeth. I pat my pockets for change, but I have none. I feel guilty for this, but notice that no one else is giving money either, not even two young priests, their long robes kicking up the cobbled plaza dust. The way everyone ignores them, I figure maybe it’s some kind of con. Still, I go to a nearby kiosk and buy a bunch of quimbolitos, one for myself, the others for the beggars, and then I head inside. A young man in a ball cap, jeans, and futbol jersey greets me by handing me a flyer, which I can’t read. I politely refuse it and wonder what his function is. If he’s associated with the church, his attire puzzles me. He doesn’t seem to be bothering anyone, but his very presence, the slouchy, somewhat surly teen-aged way he has about him, seems incongruous here. I make my way back to my place under my humble friar, but it’s occupied. Disappointed, I look for another suitable spot. And that’s when I see it: the guy in the jeans and cap, and he’s carrying one of the old ladies from outside. He makes his way down the aisle before gently depositing her in a pew, where she settles in, makes the sign of the cross, and bows her head in supplication. The young man then retreats to his area near the entrance doors and picks up his stack of flyers. The next morning, I’m 30,000 feet in the air, wending across the Andes I love so much when the pilot informs us that we will soon be flying over Cotopaxi, stretching almost 20,000 feet into the sky. A shiver runs up my body. I’m excited to get to my hiking. But I’m also sorry to leave Quito behind. Evan Balkan has published six books of nonfiction, including The Wrath of God (Univ. 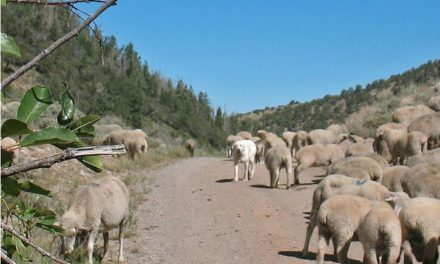 of New Mexico Press) as well as many essays and short stories. His novel Spitfire is forthcoming in Fall 2018 (Amphorae Publishing). His screenplay Spitfire, adapted from his novel, won both the 2016 Baltimore Screenwriters Competition and a Saul Zaentz Innovation Fund Fellowship and was a semifinalist in the Screencraft Family Friendly Screenplay Competition; his screenplay Children of Disobedience won the 2017 Baltimore Screenwriting Competition. He is a co-writer for the television series, Wayward Girls. He coordinates the English Department at the Community College of Baltimore County, where he runs the creative writing program, and is an adjunct faculty member in the Johns Hopkins University’s graduate Teaching Writing program. He holds degrees from Towson, George Mason, and Johns Hopkins. The latter degree is in fiction; his thesis project, the novel Root That Mountain Down, won an Individual Artist Award for Fiction from the Maryland State Arts Council.